Blackwater Steelers basketball club are about to commence their 10th season in their short but successful history and the club is swirling with a vibrant air of excitement that I have not experienced over the years. From humble beginnings with just two teams competing locally to 9 teams entered annually in an expansive North East league, the club has attained National success and provided the pathway for a number of Irish Internationals not to mention enhancing the lives of loads of children throughout North Monaghan. But this is not the reason for all the excitement, the reason is the news below that leaked out during the week. 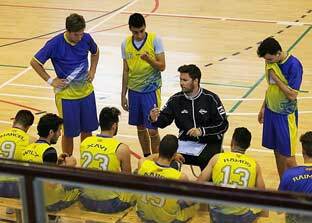 Blackwater Steelers are delighted to be welcoming Alejandro Mingorance from Catalonia in North East Spain to the coaching team at Steelers for the 2018/2019 season. 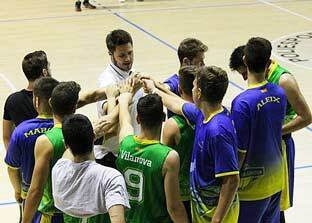 Alejandro was a former player with Club Basquet Sama de Vilanova and has been coaching basketball for the past seven years in clubs, schools and sports camps in the Catalonia region in Spain. He has coached all age groups up to U21 and did most of his coaching courses with Nou Basquet Vilanova through the Catalan Federation. In 2016 Alejandro coached his U12 team and won the National championship school league in Catalonia. In 2017/18 his U14 team were also championship winners under his mentoring and he was assistant coach in 2017 in the National Selection for the region. Alejandro will be arriving in Monaghan next week and will be involved in some capacity with all the teams within the club. We are very excited as a club to be embarking on this journey with Alejandro and we hope he will enhance the skill level of all the players he encounters. We also hope he will be very happy with his new role and new surroundings and hope he will be embraced by the community of Monaghan. Trials and training are up and running this week and will continue next week. The Blackwater Steelers website will have information on registration forms and all club policies so check those out. The new season will probably start the weekend 22/23 Sept, so we look forward to seeing you all in the coming weeks.